Since that time, many in the crowd of then start-ups have been absorbed by major server OEMs. VCE is now fully owned by DellEMC. Simplivity was acquired by HPE. And growth in the sector has been nothing short of phenomenal. 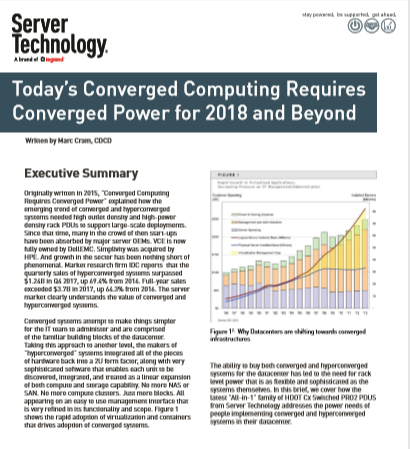 Market research firm IDC reports that the quarterly sales of hyperconverged systems surpassed $1.24B in Q4 2017, up 69.4% from 2016. Full-year sales exceeded $3.7B in 2017, up 64.3% from 2016. The server market clearly understands the value of converged and hyperconverged systems.